Can Your Smartphone Change the World? is a twenty-first-century guide for anyone who has access to a smartphone. This how-to manual looks at specific ways you can create social change through the tap of a screen. 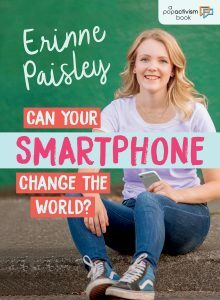 Filled with examples of successful hashtag campaigns, viral videos and new socially conscious apps, the book provides practical advice for using your smartphone as a tool for social justice. Can Your Smartphone Change the World? is the first book in the three-part PopActivism series. Can Your Outfit Change the World? is coming Spring 2018 and Can Your Conversations Change the World? is coming Fall 2018. My research for this book included interviewing people who work in related social media fields, including youth engagement employees at Instagram and Facebook. My favorite part of being a writer is being able to connect with people even without physically knowing them. My favorite book right now is Slumdog Millionaire and my favorite TV show right now is Big Little Lies—I binge watched that in two days! Watching television shows and eating dark chocolate. I admire most when a book can not only transport you to another persons reality but also make you feel connected to the author. I Am Malala, any Harry Potter book, and the biggest book on how to survive on a desert island possible. What’s your favorite genre to read? To Write? What draws you to these? My favorite genre to read is femoirs and my favorite genre to write is non-fiction. I am drawn to femoirs because they let me feel connected to the author’s in a personal and new way and I am drawn to writing non-fiction because I feel it is an amazing way to teach and learn from others. You Are My Sunshine by Jimmie Davis. Watch Erinne talk about Can Your Smartphone Change the World? and share tips about how you can use social media to create positive change here. Erinne Paisley is an activist, public speaker, youth content developer, writer and student. 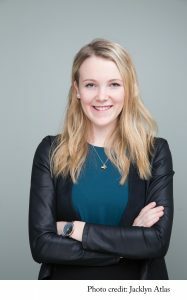 She was awarded one of ten University of Toronto National Scholarships and is now studying International Relations at Trinity College, University of Toronto. Can Your Smartphone Change the World? is her first book. For more information, visit www.popactivism.com. Follow her on Twitter @popactivism and subscribe to her YouTube channel, Erinne Paisley.